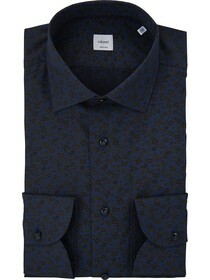 Blue men's shirt with damask pattern. 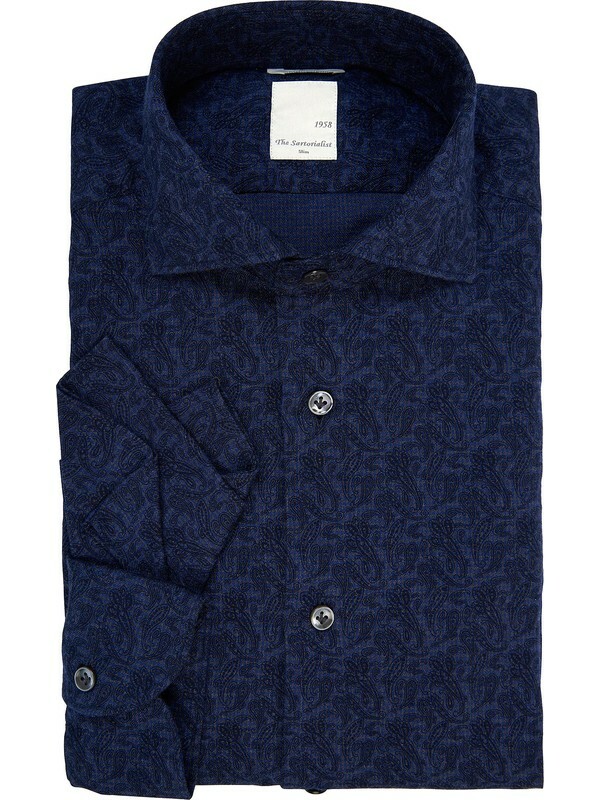 This men's shirt has a Jacquard design impressed on a Flannel twill fabric. This The Sartorialist shirt has very unique design features. 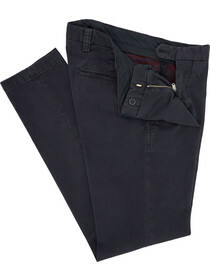 The wearability of this garment is Slim fit, it fits the body in a soft tight way. 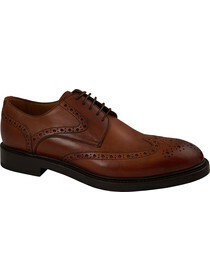 The fabric is Viyella, it is a special kind of very soft and refined flannel. 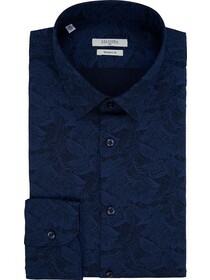 The dark colour and the Jacquard design make this shirt extremely unique and elegant. The pocket handkerchief added is included with this shirt and is made of the same fabric. It makes this shirt suitable to be used for a lot of different outfits. The Sartorialist shirts are real a demonstration of Italian craftsmanship, they are extremely refined and elegant.